The latest catastrophic news from Japan leave the impression that the disaster in Fukushima is more and more developing into Chernobyl-Dimensions. The course of events however is different in Fukushima compared to Chernobyl. 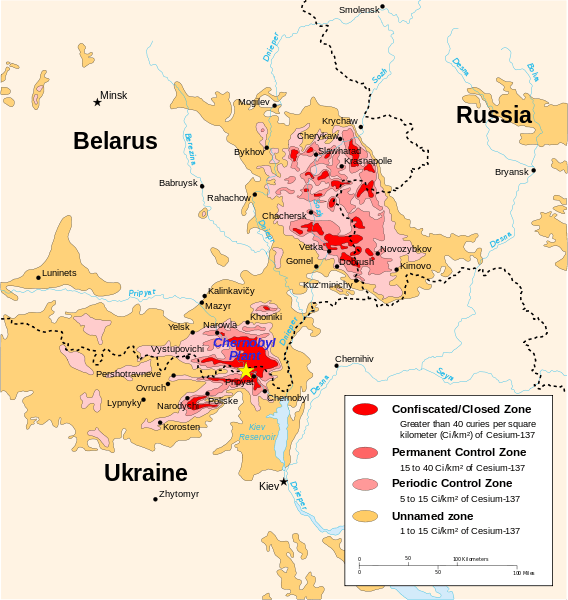 Since the impact of the 1986 nuclear meltdown seem to be more and more forgotten but come back to peoples minds these days I browsed the web for some maps that show the distribution of the radioactive fallout after Chernobyl. The Times Complete History of the World (2007), p. 351.